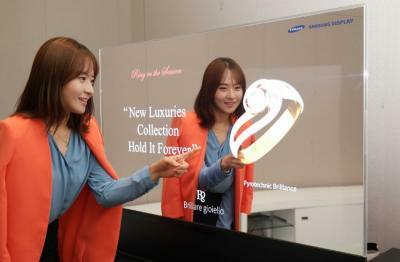 Samsung Display unveiled their 55" mirror and transparent OLED display panels back in June 2015, and the company finally announced the availability of these displays - Q2 2016. The mirror display's model number is ML55E while the transparent display's model number is TO55E. Samsung also reveals that the displays features a brightness of 150 nit, 45% transmittance (75% reflectance in the case of the mirror display) and a color gamut of up to 100% Adobe RGB. Samsung is offering these displays to display system providers. In February 2015, Planar Systems unveiled a 55" Full-HD transparent OLED prototype. Planar started accepting orders for the Planar LookThru displays in November 2015 for $14,995, and the displays should start shipping shortly. 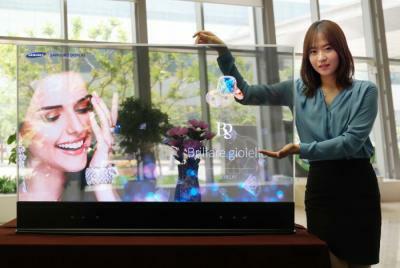 Eyevis also announced similar displays, and German-based Lang AG demonstrated a 55" transparent touch-enabled Full-HD OLED.